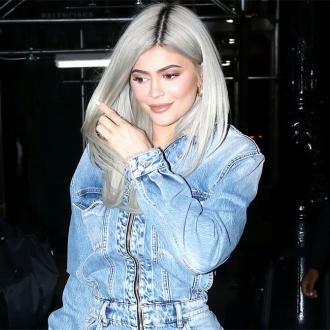 The newest addition to the Kardashian/Jenner dynasty created a ‘storm’ when she arrived at the beginning of February along with an 11-minute video from famous mum, Kylie Jenner, to mark her birth. Now, new born Stormi Webster’s dad, rapper Travis Scott, has spoken out for the first time about his baby daughter. New dad, Travis Scott has described his daughter as "beautiful"
The 25-year-old was asked by TMZ as he left nightclub, Poppy, on Saturday night how his baby girl was doing and the new-father replied: "She's beautiful!" Before arriving at Poppy, the rapper took to the stage for a brief, 30-minute set at Avenue in Los Angeles as part of the festivities surrounding the NBA's All-Star Weekend. 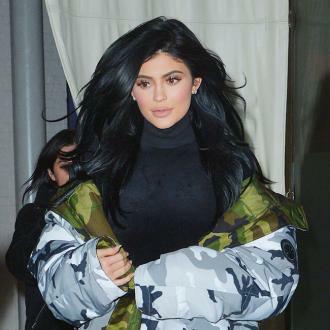 Scott, who has been with Kylie since April 2017, took to the stage in front of a crowd that included another man liked to the Kardashian-Jenner dynasty, Cleveland Cavaliers center Tristan Thompson, who's expecting a baby with Khloe Kardashian. In addition, two men formerly romantically-linked to of Khloe - rapper French Montana and Houston Rockets guard James Harden - were also in the crowd and sat with Tristan at the show. Kylie had maintained a strict social media silence throughout her pregnancy and neither confirmed nor denied that she was expecting. Taking to Instagram when she finally revealed she had welcomed a baby girl into the world, the 20-year-old businesswoman wrote: "I’m sorry for keeping you in the dark through all the assumptions. I understand you’re used to me bringing you along on all journeys. "My pregnancy was one I chose not to do in front of the world. I knew for myself I needed to prepare for this role of a lifetime in the most positive, stress free and healthy way I knew how. "There was no gotcha moment, no big paid reveal I had planned. I knew my baby would feel stress and every emotion so I chose to do it this way for my little life and our happiness."